Little Jack is just learning to walk and I wanted to do something that would be as cute as he is. 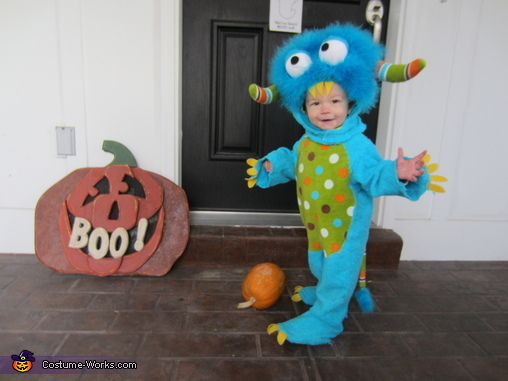 I also made a matching monster costume for my niece. They looked pretty stinkin cute out trick-or-treating. Everyone was stopping us to take a picture.